Delicious sticky rice with palm sugar and coconut, accompanied by fruit for desert. Heather led a waitressing workshop at a shelter in Singapore in March. The idea is to teach waitressing skills so the victims can return to their home country with work skills. The participants worked in teams, which allowed them to support each other in a fun way while learning new skills. Heather Mullins working to give girls alternative employment opportunities at a hotel or restaurant when they return to home country. In partnership with JRS, we trained 16 leaders in the Northern Myanmar state of Kachin, which is in the midst of ongoing civil conflict. The 16 leaders leaders teach the teachers, villagers, catechists and children in the refugee camps and the orphanage. There are many people in Kachin whose homes have been invaded by either the military or the rebels. These people are pushed out of their homes and are left with no choice but to live in a refugee camp. 15 of the 16 participants could not think of any such stories but, by day three, every one of them, had stories of their own. The last day was practicum. Each new leader was teaching at the teachers training center, the orphanage or the refugee camp. All of them were critiqued and encouraged by their peers, allowing them to immediately put into practice what they had learned. This also allowed time for the new leaders to gain confidence in teaching since they had the safety net of their peers and CLinked during their first time teaching the new material. Soon they began to teach completely on their own. Our 16 trainers from 6 different organizations. On day 7 after training 19 teachers trainees, 40 villagers and 40 children from orphanages, all 16 trainers made personal commitments to train others in different villages throughout the year. Yauhan first took our course in 2015. He has gone onto present 4 workshops to the youth community and has become a leader and inspiration. 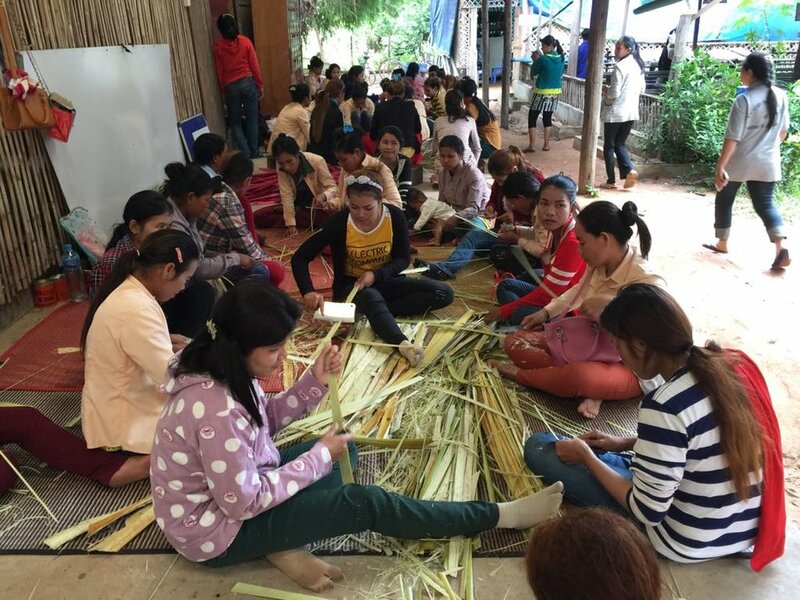 In December 2016, we held a public narrative workshop and trained 8 people in a community factory in Cambodia. We partnered with a Japanese NGO called Susu, which is a vocational training arm of Kamonohashi, the largest Japanese anti-human trafficking organization. Susu hires high-risk women at the community factory and places them in a program that teaches them how to make artisanal bags, sandals and jewelry. We and Susu also provide the women with counseling and place them in jobs after they complete the two year program. Over time, Susu realized that life skills are just as important as the technical skills that they were teaching. For that reason we and Susu focus on “public narrative” helping the women develop the ability to speak out and tell their own story. Everyone has a story, but these women in particular have endured almost unimaginable hardships. By being taught how to reflect and speak about their struggles they learn more about themselves and can begin to express who they are. They then start to get other women involved and go on to help these new women. Learning how to make bags and accessories. Did you know that dance is a proven healing therapy for individuals? Dance can help build confidence and help people feel connected to their bodies. Good Sister Shelter in Singapore wanted to have Zumba classes, but it was difficult to find funding and volunteer teachers. With fundraising help from Eliza and an introduction to Kai, the founder of Fiesta Zumba School, CLinked was able to find a fitness program that would keep the mind and body healthy and created a zumba program for abused foreign domestic workers. The zumba classes are held weekly with approximately 30 participants and have been ongoing since October 2016.